Like many AT professionals, I have one or two people ask me every year about adapted game controllers for the hottest game computers on the market. Usually what they end up having to do is get Windows versions of the games and use a regular computer with adapted access to play them. Adapted controllers are few and far between. R J Cooper now has adapted game controllers for the XBox, XBox 360, Playstation, and the GameCube. 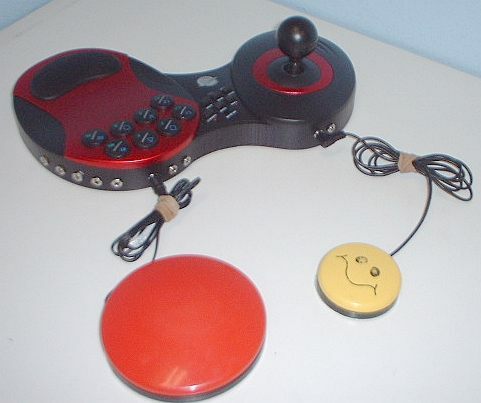 These joystick game controllers have been adapted with 1/8 inch switch jacks for the control buttons. There are cordless versions for certain types of game stations. The thing to keep in mind is that just because the controller is adapted doesn't mean the game will be accessible to the person playing it. Many games are too fast, or require special combinations of switch hits or a high level of coordination to play. This means pick your games carefully to ensure that they will be playable by a person with special needs. Scientists have shown how the brain processes sound at Carnegie Mellon University, where researchers have developed a new method of converting sound to digital form. This could improve the sound quality of cochlear implants, cell phones, and other digital audio devices. This technique is based on the the process through which the brain codes sound. The researchers developed a simple code and an ensemble of acoustic signals to decipher how sound is encoded for the brain. This insight could find practical use in devices such as cochlear implants. Cochlear implants are hearing prosthesis that are implanted in the skull behind the ear, and directly connect a microphone and digital processor with the part of the brain responsible for hearing. With current cochlear implants, users find that even a pure tone, such as those used in hearing tests, often sound like a garbage disposal. For a better understanding of a cochlear implant user's experiance, see My Bionic Quest for Bolero about Michael Chorost's quest to enjoy music again. This new coding would let electronic devices communicate with the brain through signals that are closer to the natural ones, leading to sound that is more realistic and speech that is clearer. Visit http://www.cmu.edu/PR/releases06/060223_sound.html for more information.